Photoefxxx was started in late 2003 and has been in the works ever since. With heavy pressure from family and friends, I decided it was time to bring my Digital Creations to the public’s eye. I hope you enjoy my work and enjoy every minute of what is now going to be my future endeavor in life. Soon I will be taking many trips and dedicating my time to HDR Photography. 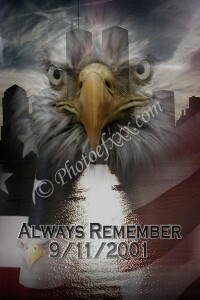 The site was heavily influenced by the events of 9/11, as was my decision to enter the field of photography & graphic arts. Photoefxxx is a constant work of art.